The 90s came along and Jazz, Blues and the Funk all became popular again. And just like a whole new generation was rediscovering the music, the cocktails became popular again. The bartenders gave up the colorful drinks for tasteful drinks. 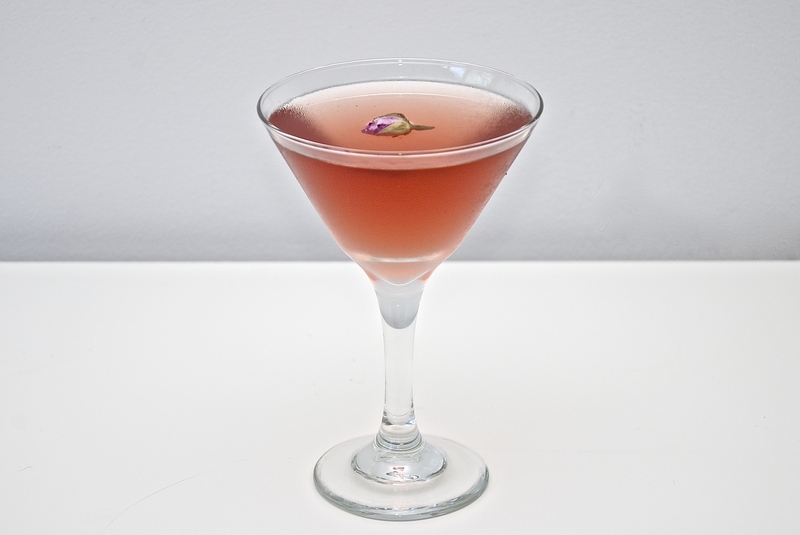 The globalization brought in the scene new high proof alcohols and more exquisite flavors. Suddenly David A. Embury’s book was rediscovered. The old copies skyrocketed to hundreds of dollars. It went back in press. David did not dictate, he suggested. He suggested 5 simple rules. It should be made from good-quality, high-proof liquors. It should whet rather than dull the appetite. 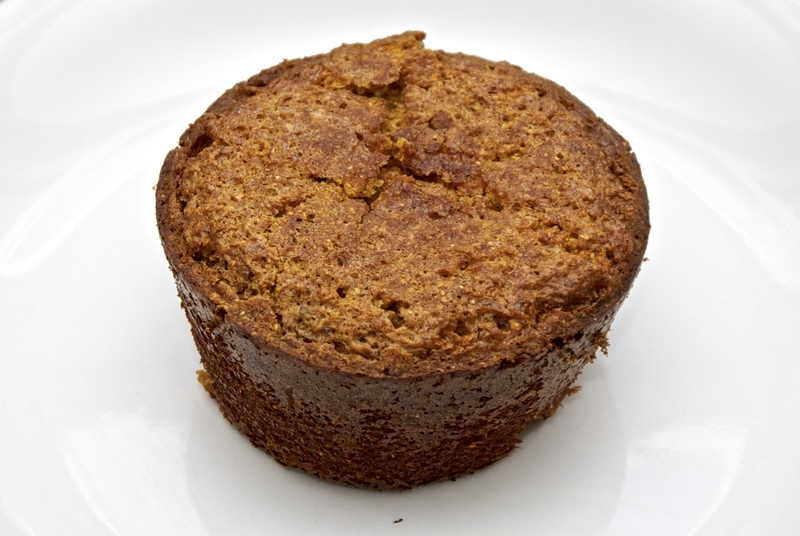 Thus, it should never be sweet or syrupy, or contain too much fruit juice, egg or cream. 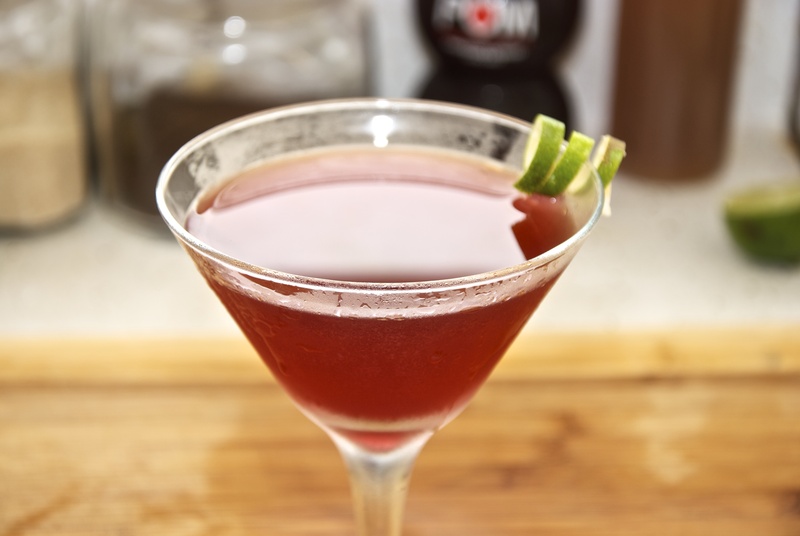 It should be dry, with sufficient alcoholic flavor, yet smooth and pleasing to the palate. It should be pleasing to the eye. And although when he was writing the book cocktails were strictly made in cocktail glass (with some exceptions), his guidance applies to all cocktails. 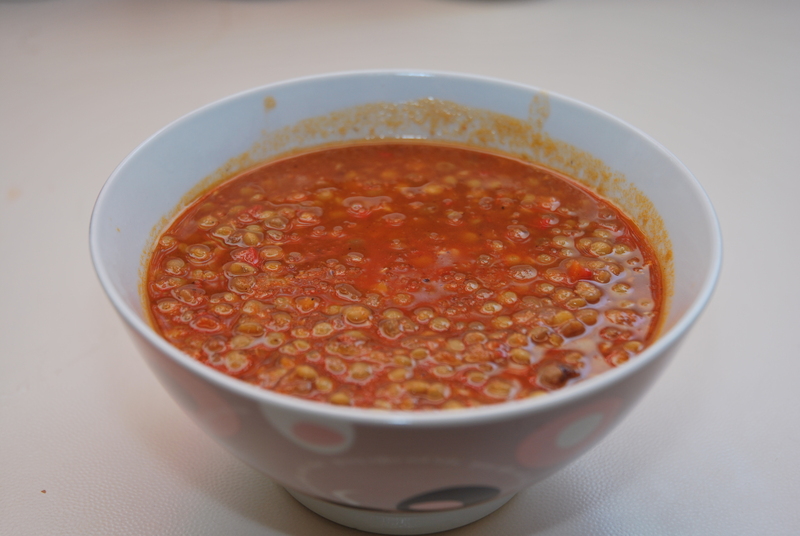 He suggested some simple rules that boil down to simple suggestions: good quality ingredients, well-balanced flavors, nice appearance and be very cold. These are the simple rules that all bartenders, or at least the good bartenders, just follow. 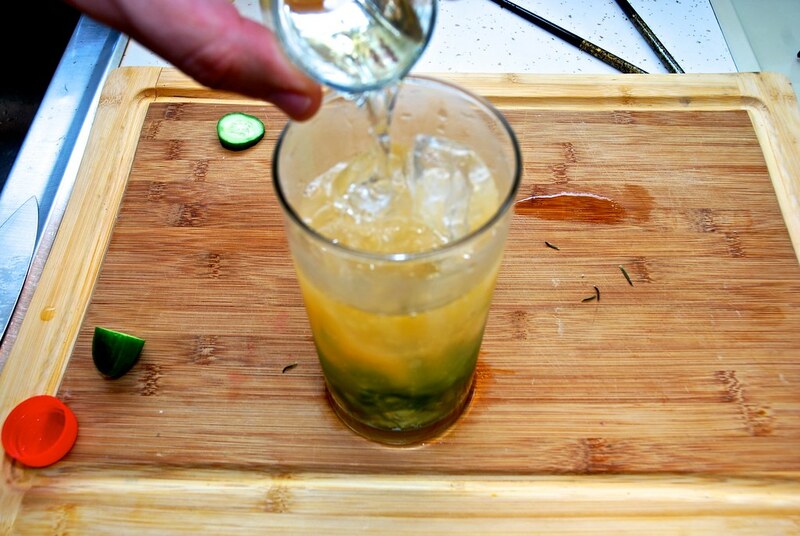 In addition, the modern bartenders, drop their title and became mixologists. 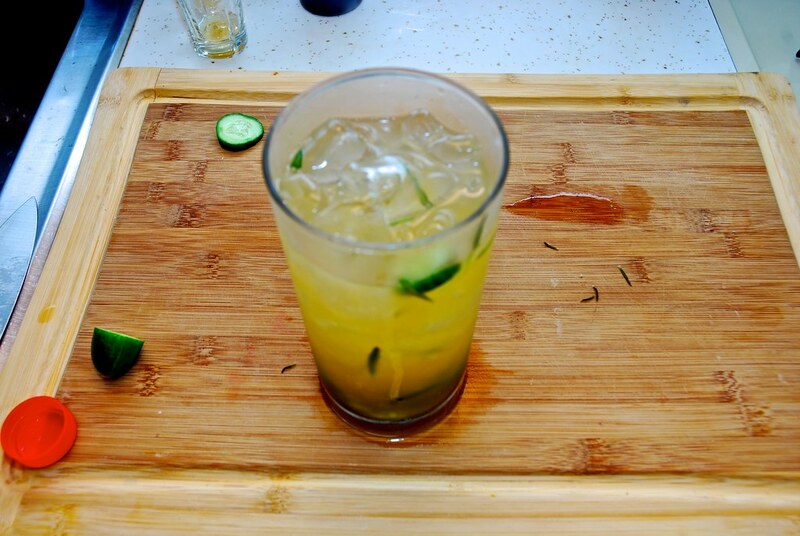 They got in the kitchen, discovered ingredients that were not typically used in cocktails. From herbs to bacon and cheese. Now when it comes to cocktails only sky is the limit, but when in doubt go back to the basics, good quality ingredients, well-balanced flavors, nice appearance and be very cold. And the same goes here. We followed in this block a similar trajectory. 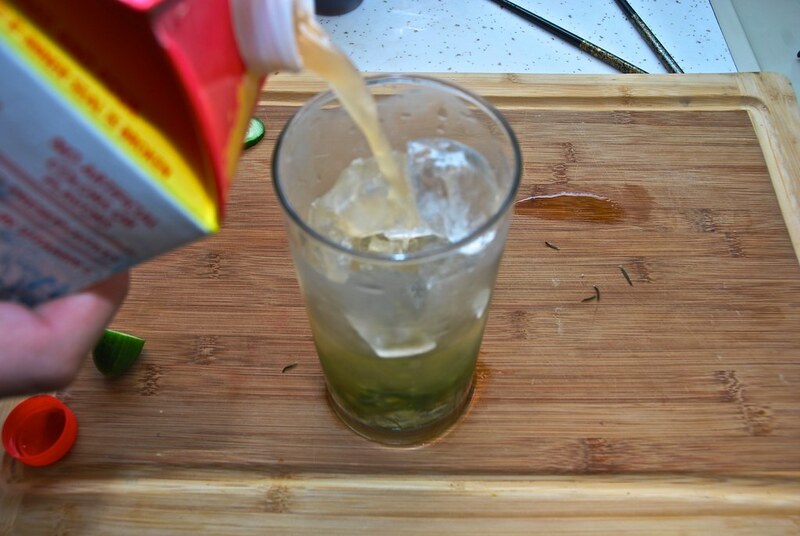 We started with the classics, and invented some of our own like the rakitini. And now, that my friends Sam and Anya are getting married, I am was asked to make a cocktail for them. It was not just a great pleasure but also a great honor. So I went back to the basics, but also added some rules of my own, unique flavors and simple ingredients. So that’s how Samanya was born. 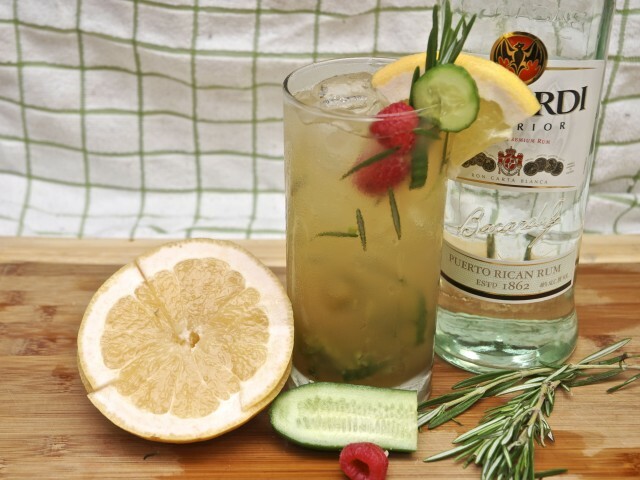 A grapefruit and rosemary cocktail. 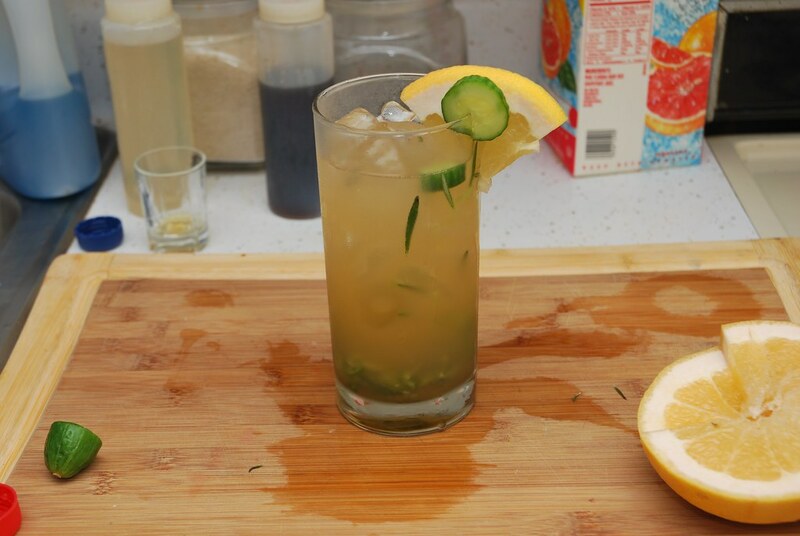 Grab a collins glass (or highball). 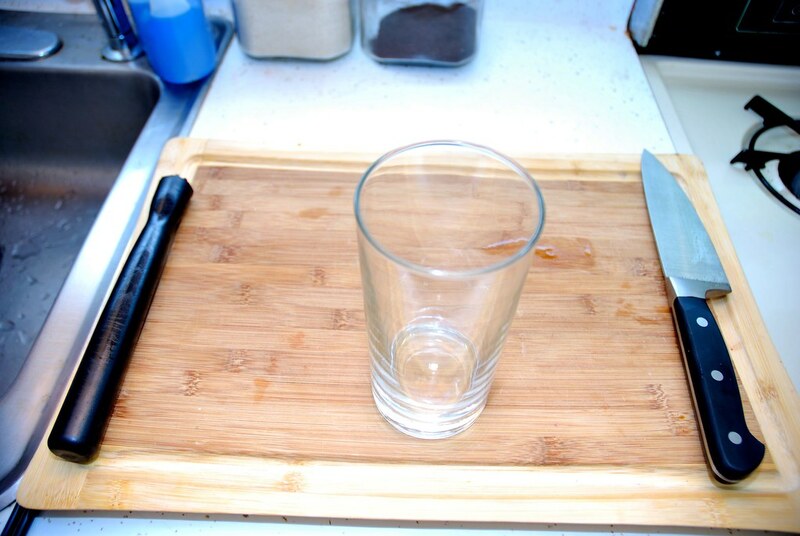 It is a straight edge glass, but the viewing angle distorts it a bit. 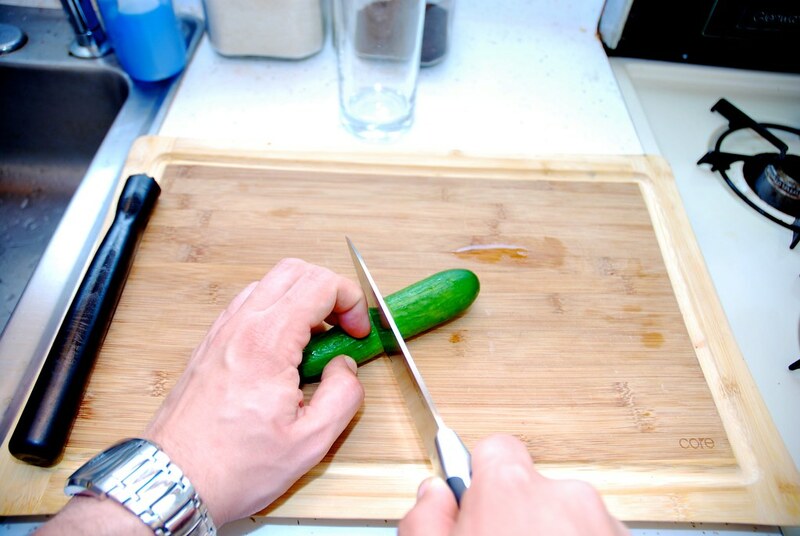 Start by slicing half a cucumber to 1/4 inch slices. Add them in the glass. 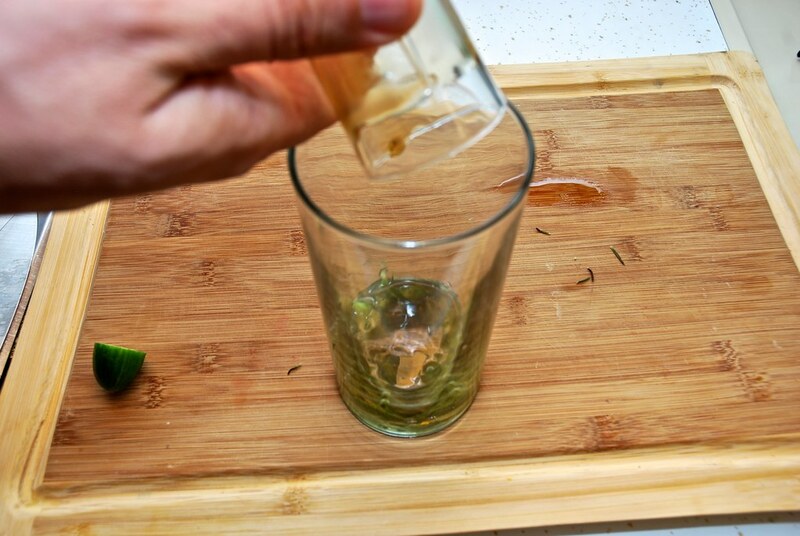 And follow that with the leaves of about half a spring of rosemary. …half light sugar. 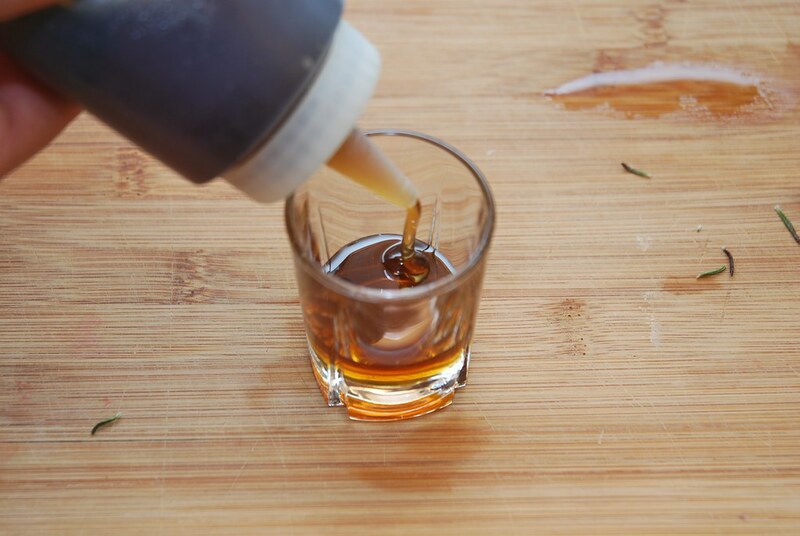 This is basically a simple syrup and it is called simple because it is is simple to make. Equal parts of sugar and water by volume go in a pot to boil for 5 mins or until the sugar is melted. I like to spice it a little more, by boiling it to 105 C (220 F) with a few mint leaves and a lemon slice. It is also usual to mix the water and the sugar and shake them until they dissolve. 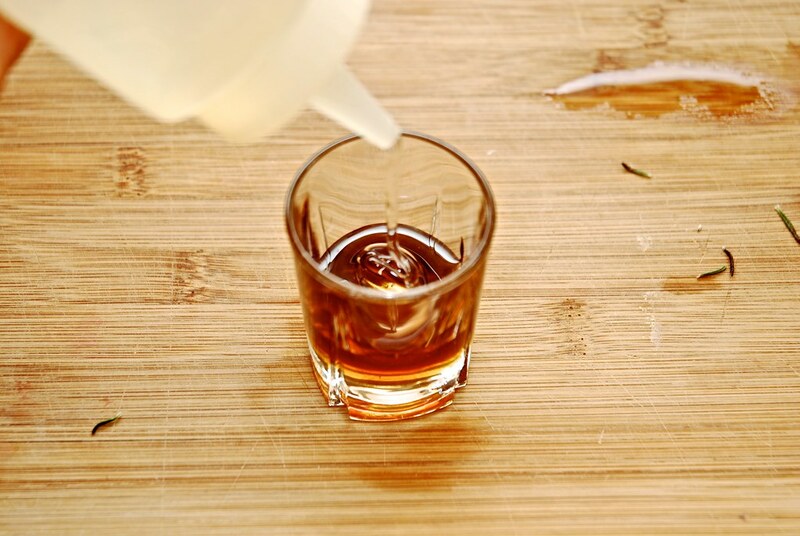 However boiling the syrup breaks down the disaccharide to glucose, that is sweeter than the sugar itself, so you can get by with less sweetener. Add this to the glass. Follow with ice. And as I said before ice is an ingredient be nice to it. Remember what David said. 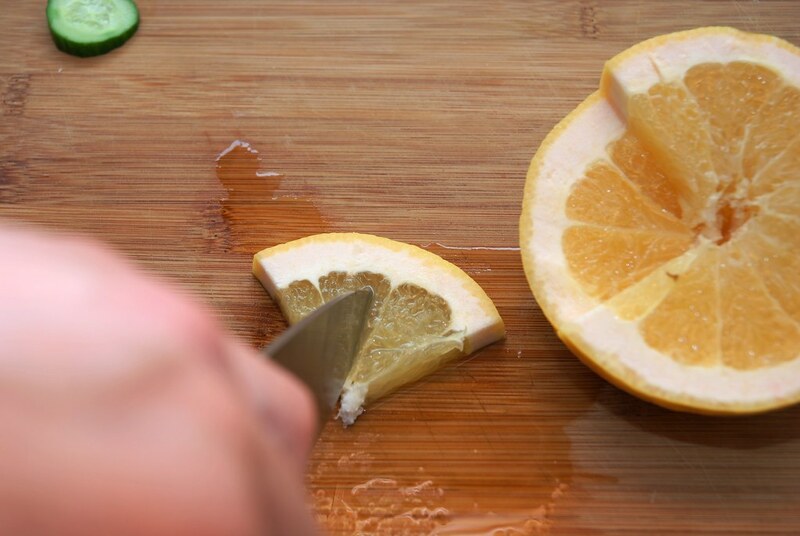 Add grapefruit juice to the middle to the glass. 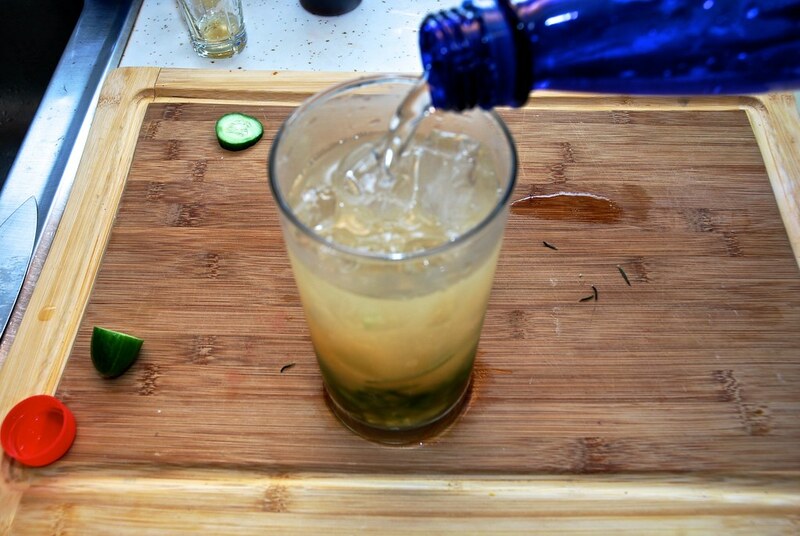 The we add the rum (or the gin). 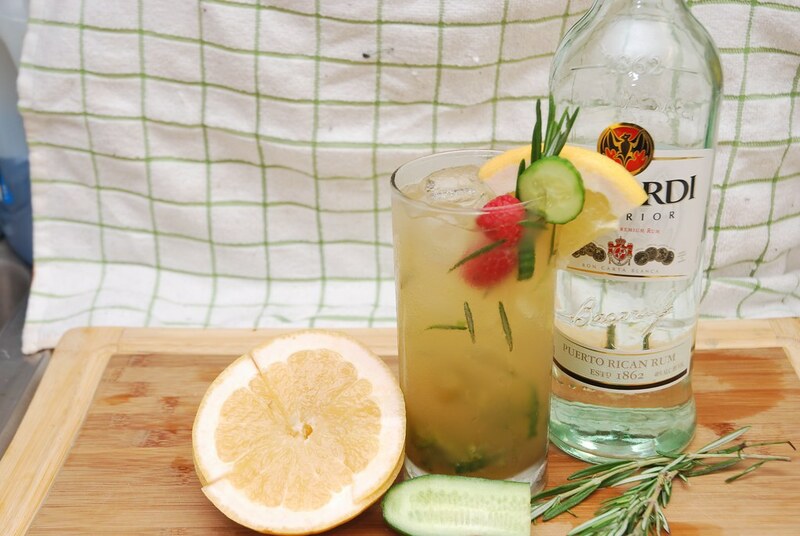 Actually according to the great guide, “the Flavor Bible” rosemary goes very well with grapefruit and gin. Gin actually made with the berries of the juniper that they are very piney, having strong resin and pine flavors. Very similar to the rosemary. Follow it with the soda. We need a little fizz there. 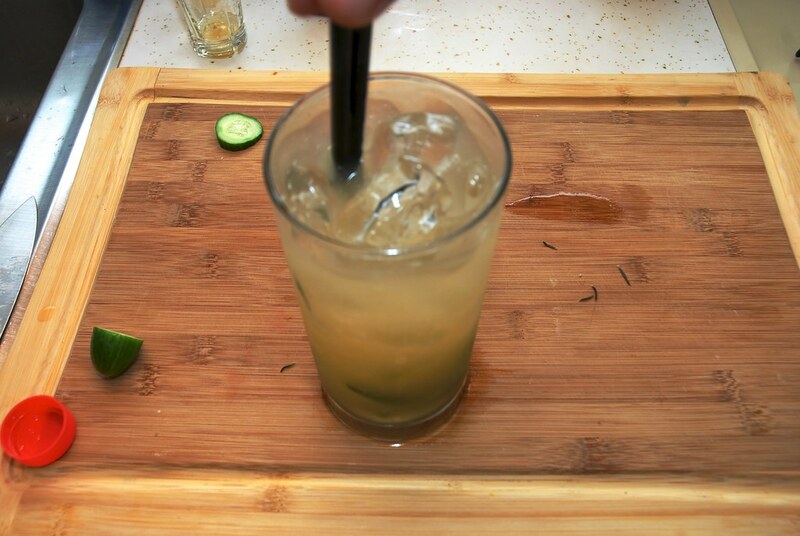 Stir the cocktail to mix everything well. 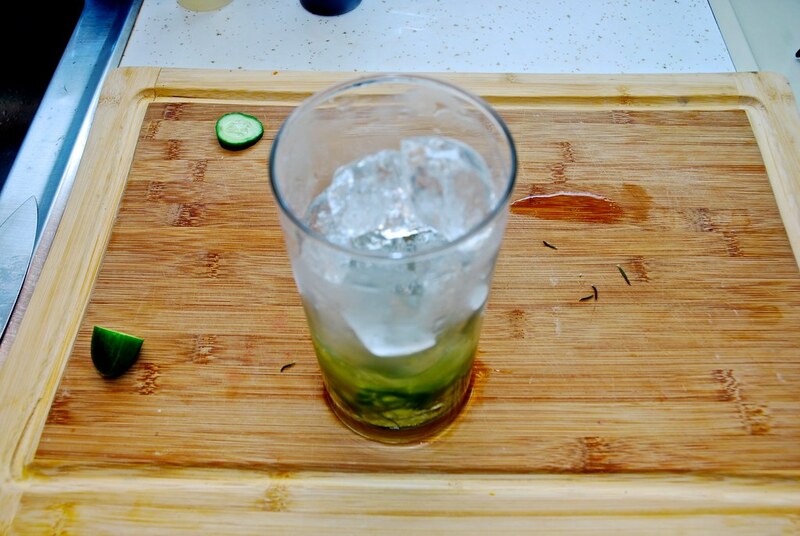 So well that there are rosemary leaves and cucumber chunks floating around. Just like that. Technically the cocktail is ready. But we need to make it pretty. 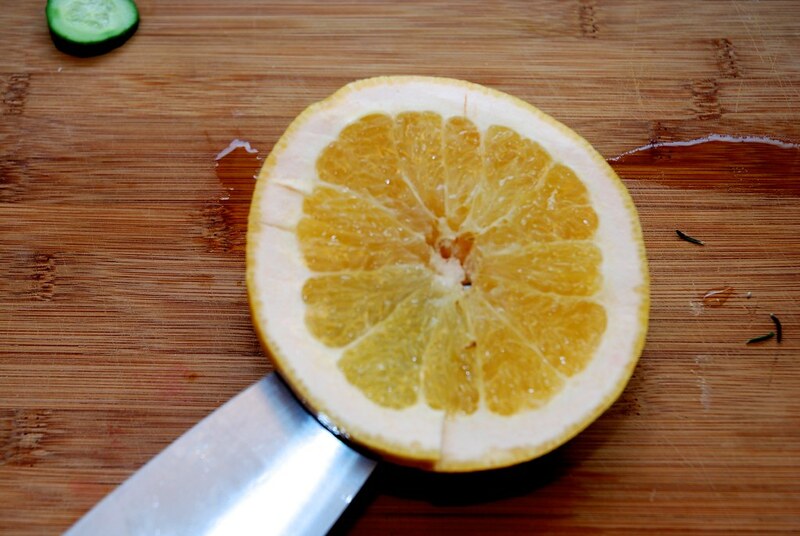 Cut a 1/4 wheel of a grapefruit. 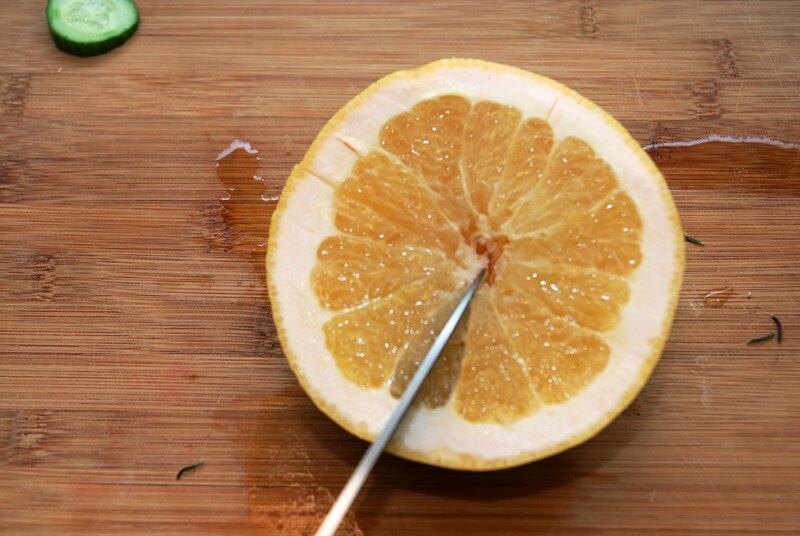 Detach it from the grapefruit. And make a slice to the middle to sit on the glass. On th glass it goes. 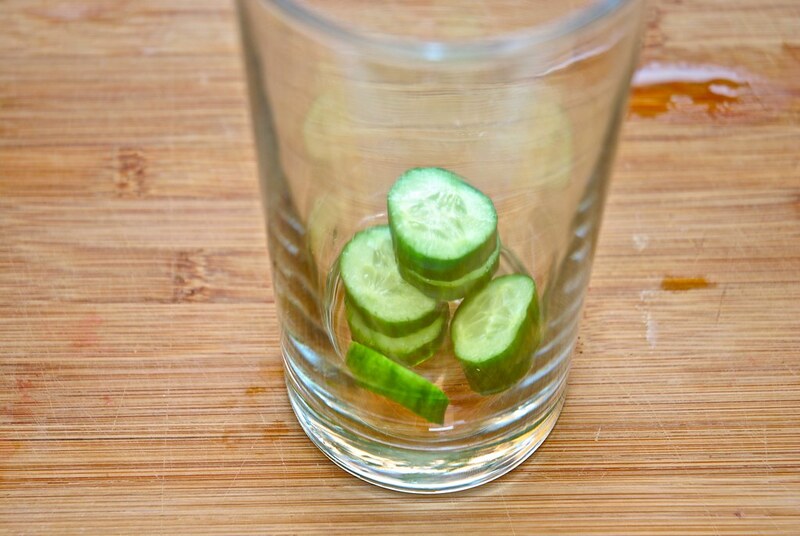 And this saved cucumber slice also goes next to it. Stick it on there… Hah I guess that the alcohol start getting to me… Stick it baby… Hmm professionalism. 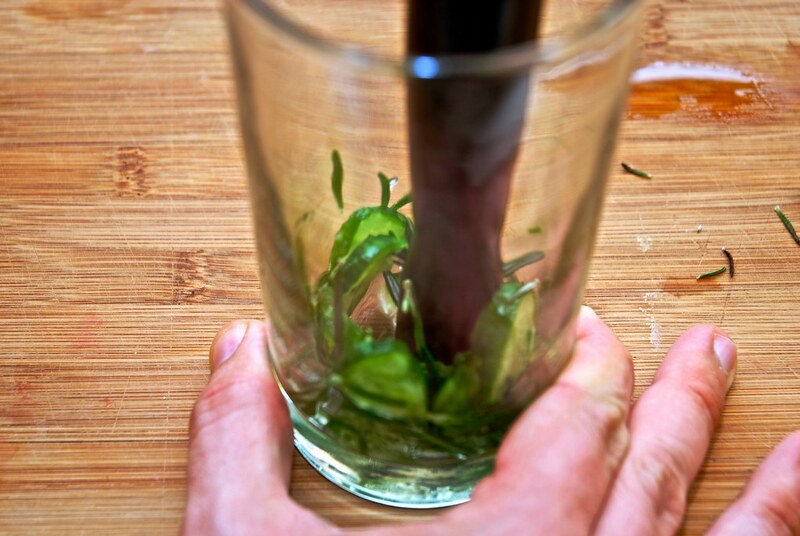 Between the grapefruit and the cucumber stick the tip of a rosemary soring. And at the end add a raspberry to bind the colors together. And here is a photo with all the ingredients put together to the Samanya. And another view. As David said it has to be simple but visually appealing.Here is to Sam and Anya. 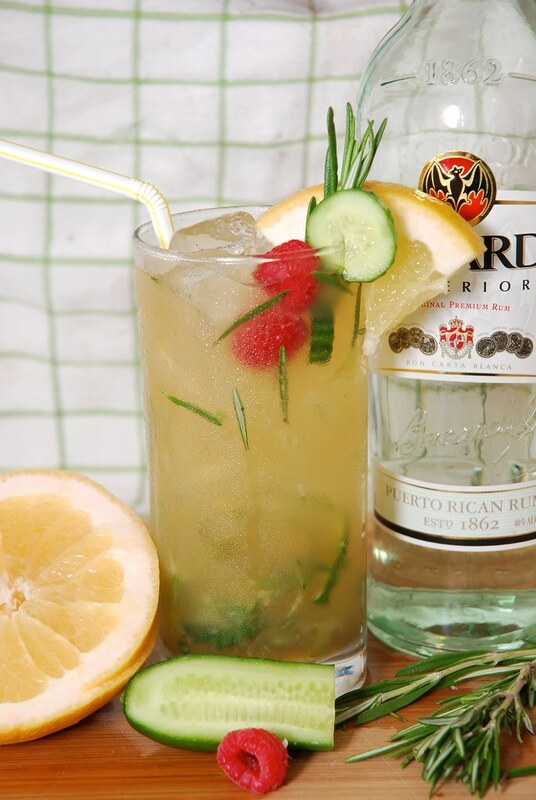 A very refreshing and summery cocktail specially made to bring the taste of the Caribbean to the NYC skyline. 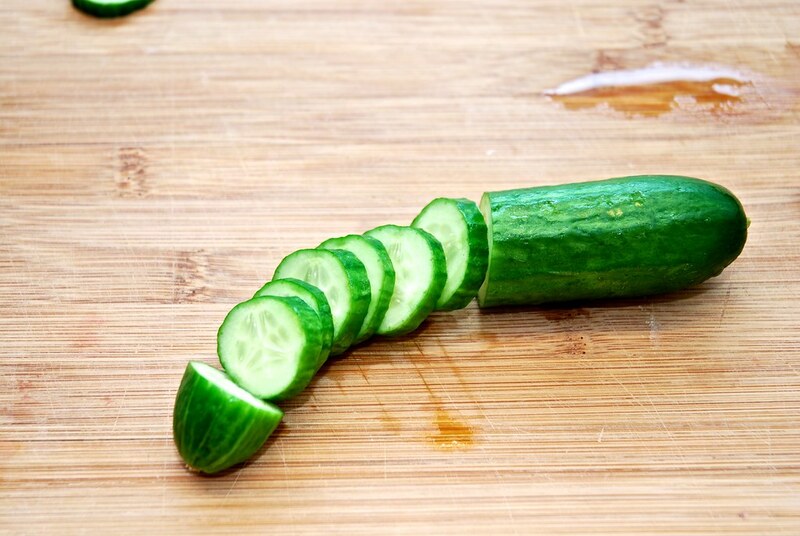 Cut the cucumber in slices. 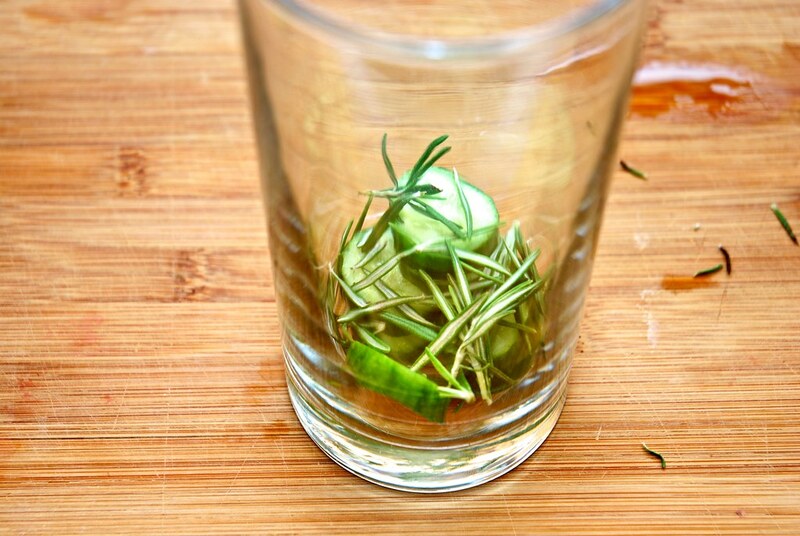 Save three for garnish and the rest muddle with the rosemary in the saving glass. 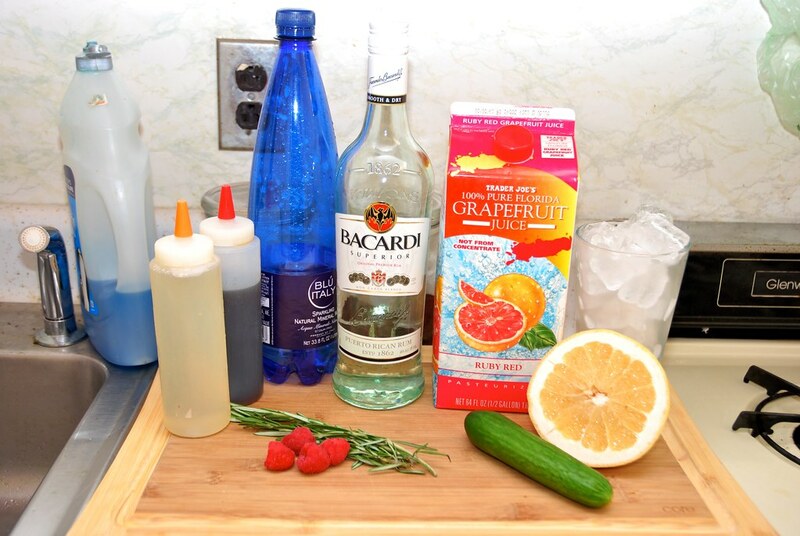 Add the grapefruit juice, the rum, the syrup and mix with a spoon. 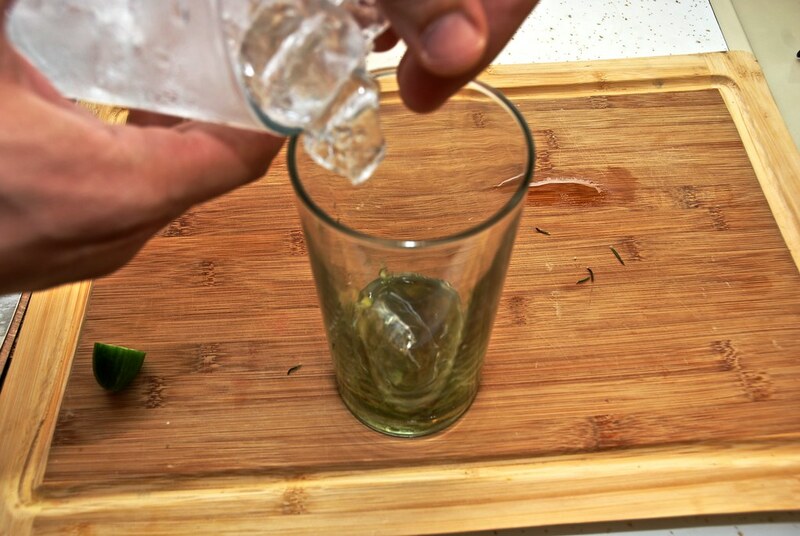 Add the ice and mix to distribute the ingredients. 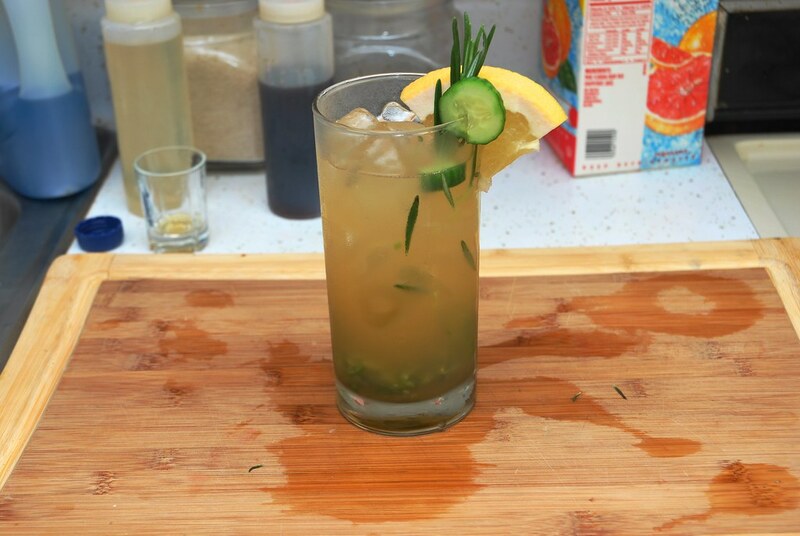 Garnish with the cucumber, grapefruit slice and the rosemary.